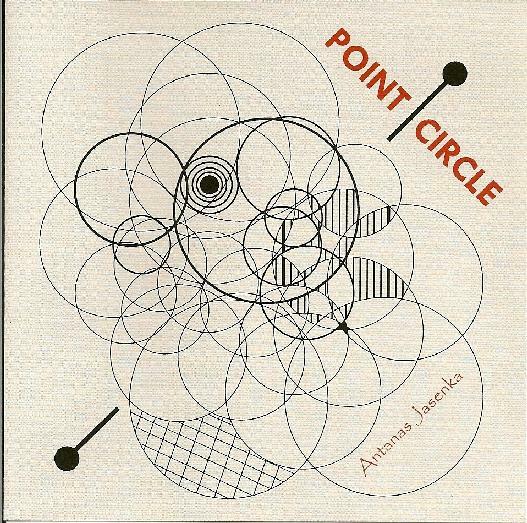 Point/Circle is Lithuanian composer Antanas Jasenka's third album for the Electroshock label. The CD consists of two compositions, starting with the 6 part 44 minute In/Out. The piece is a mostly quiet, understated sound exploration. It opens with a single electronic wave wandering steadily along a subtly evolving path, accompanied by a quieter, barely present partner. Two other components of the piece are billed as being for flute and computer, and trombone and computer, though if there's flute and trombone they are processed beyond recognition. Jasenka makes interesting use of pulsations, vibrations and ambient waves. At times I felt a cold spacey ambience, filled with howling and weaving drones and scattered blips. I liked the dark intensity of the fourth part, Output/Input, which has a somewhat orchestral sound and a nice spacey vibe. But the final part, Output 1, was my favorite, being the most varied, musical, and rhythmic section of the piece with its off-kilter beats, sharp scattered blips, string plucking, water drips, pleasant melody, and much more. An interesting and stimulating conglomeration of sounds. The second composition on the CD is the 23 minute Out off Ciurlionis. Credited as being for string quartet and live electronics, Jasenka and fellow electronic artist Antanas Kucinskas are accompanied by two violins, viola and cello. The piece opens with the musicians plucking their instruments and using controlled breathing effects in accompaniment. The pace slowly picks up as the musicians bow, pluck and manipulate their instruments to produce pleasantly accessible avant-garde chamber music. It isn't until around the 10 minute mark that the electronics are introduced and it's an interesting combination indeed. The strings play along merrily while the two Antanas' crank out playful alien sounds. At times the music has a humorous Carl Stalling quality, and it was easy to imagine a Bugs Bunny-Daffy Duck adventure. But overall the electronics are secondary to the strings on this piece and I would have preferred more prominence and assertive interplay with the string musicians. Lots of great possibilities with this combination.